If only I were the Beatles, but no such luck. I would like a little advice. 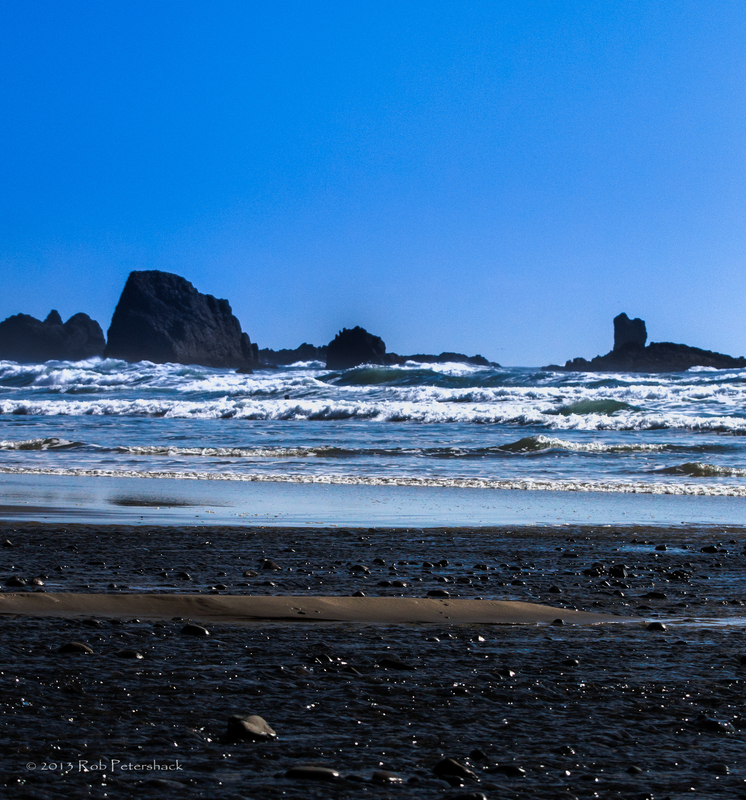 I have two photos from Cannon Beach in Oregon. They are very similar. My question to any of you who are willing to comment is, which one do you like better? You don’t have to tell me why (though if you do, I would appreciate it and if I had any gold stars to hand out, I would gladly do so). All you have to do is say I like the first one or the second one. Thanks for any help you can provide! I am slowly but surely working my way through my photos from my recent trip to Oregon. I’ll post them as I can. I hope you enjoy this one. I know there may be a naysayer or two out in the blogosphere who may mutter to themselves that if I am presenting a photo of Cannon Beach in Oregon at the very least it should display some sand. Too all of you others (and you naysayers too;>), I hope you enjoy this photo. Cannon Beach in Oregon is one of the better known of the photo opportunities in the state. Being quite the nature photographer it struck me that actually taking a look at what was happening to the beach as a result of something other than people and waves might be worthwhile. It turns out that water is heading to the oceans (and traversing the beach) from a number of sources large and small. Here is one of the many fresh water streams contributing their part to the Pacific. I saw some photos of the coast of Oregon many, many years ago and for some reason “Oregon Coast” just stuck in my head. 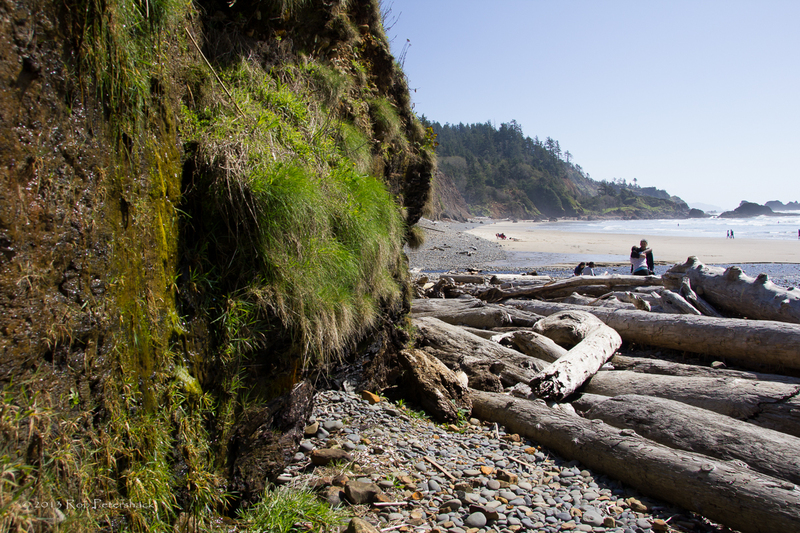 I happened to have the opportunity to visit Oregon for a few days and finally got to see the coast, but only for a few hours so my question was where do I go to take some pictures? From checking things out, the answer seemed to be almost anywhere you have a few days to look around. Lacking that I took the easy way out and went to the Cannon Beach area. It was supposed to be cloudy, which I guess is typical – instead it was brilliantly sunny. I am plowing through the photos and haven’t decided yet how I did. I was trying for shots that were different and when I do that I am not smart enough to avoid making tons of mistakes. Here is one of my first shots. Comments are appreciated.